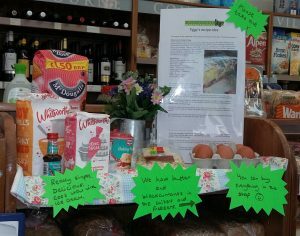 Here’s a yummy cake recipe from Tiggy – all ingredients available from the shop! This is easiest made in the food processor as you can whizz up the whole almonds in the bowl first before using it to process the rest of the mixture. You could use ground almonds but you get the brown speckled effect from the unblanched nuts and the cake is extra moist as a result. It can also be made in a rectangular 23 x 33cm Swiss roll tin and cut into squares or fingers. Whole unblanched almonds – 100g. Alternatively, substitute ground almonds. Preheat the oven to 180ºC (170ºC fan bake). Butter a 25cm loose-bottomed tin and line the base with a circle of greaseproof paper. Whizz up the almonds in a food processor for a few minutes until ground. Don’t worry if there are still small nubby bits in the bowl – they will just give some texture to the cake. Empty the almonds into a separate bowl and whisk with the plain flour and baking powder. In the food processor, cream the butter and sugar until pale and light in colour. Add the vanilla extract and the eggs, one by one, beating in one-third of the almond/flour/baking powder mixture with each egg. 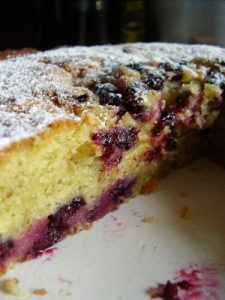 Smooth the batter into the prepared tin and scatter the blackcurrants on top. Bake in the preheated oven for 35-40 minutes until golden, firm and cooked through when tested with a skewer. Before serving, sift over the icing sugar and serve warm or at room temperature with some thick natural yoghurt. Here is one of Sarah Lane’s recipes. I can vouch for it being delicious and quick. Really easy, really quick and you can buy everything from the shop. It is delicious too. It works well as a light lunch on its own in a bowl with a small salad or as an evening meal with steamed asparagus or a bigger salad. 1/2 lemon, zest and juice. 300g tagliatelle (or any pasta you have in the cupboard). Melt the butter in the frying pan, add the salmon. Stir and sprinkle with the lemon juice. Cook for a few minutes. Add the cream and season. Cook over a low heat for 5 minutes. Cook the pasta in a pan of boiling, salted water until al dente. Drain and add to the frying pan with the salmon and cream. Cook for 1 more minute. Toss gently to mix all the salmon and sauce. Serve immediately with a scattering of lemon zest. Simple one-pots are perfect for the busy cook. 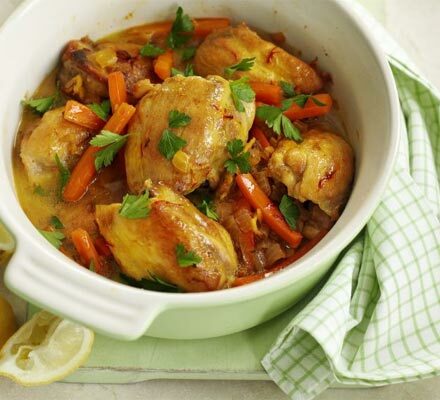 This chicken tagine is great eaten with tabbouleh (cous cous) for something a bit more filling. Heat the oil in a large, wide pan with a lid, add the chicken, then fry quickly until lightly coloured. Add the onion, garlic and ginger, then fry for a further 2 mins. Add 150ml water, the spice, honey and carrots, salt and pepper, then stir well. Bring to the boil, cover tightly, then simmer for 30 mins until the chicken is tender. Uncover and increase the heat for about 5 mins to reduce the sauce a little. Sprinkle with parsley and serve with lemon wedges for squeezing over. Prepare the couscous: Put the couscous into a large bowl. Pour over enough boiling water or stock to just cover the grains, and stir. Cover with a plate or cling film and leave to stand for 5 mins until all the liquid has been absorbed. Separate the grains by roughing them up with a fork. Finely dice the vine-ripened tomatoes and the cucumber. Slice the spring onions and finely chop the parsley, then add everything to the couscous with the grated zest of a lemon. 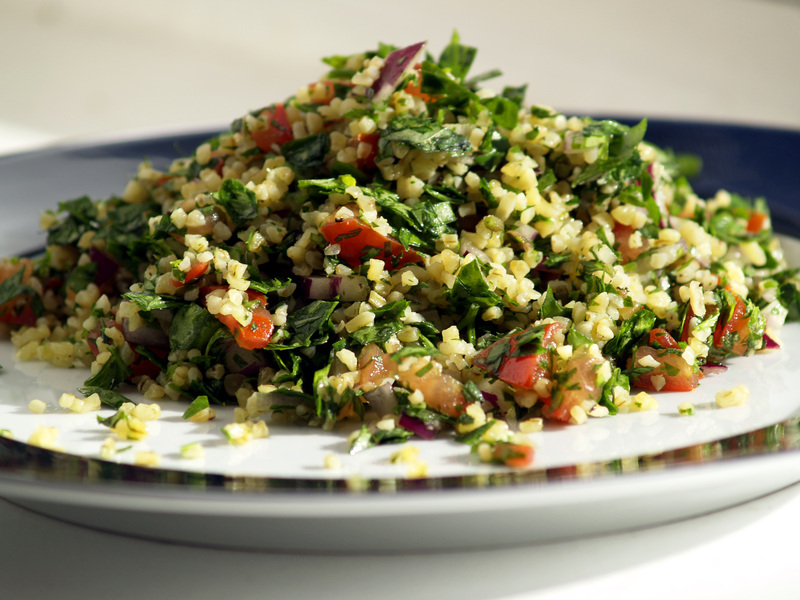 Whisk the olive oil, lemon juice and the garlic with plenty of seasoning and drizzle over the couscous. Toss well and serve with some grilled fish, meat or chicken. Place all the ingredients in a food processor and combine to make a smooth paste. Taste. Maybe it needs more lemon juice or tahini or salt? Spoon onto a flat plate and sprinkle over olive oil and maybe finely chopped parsley if you like. 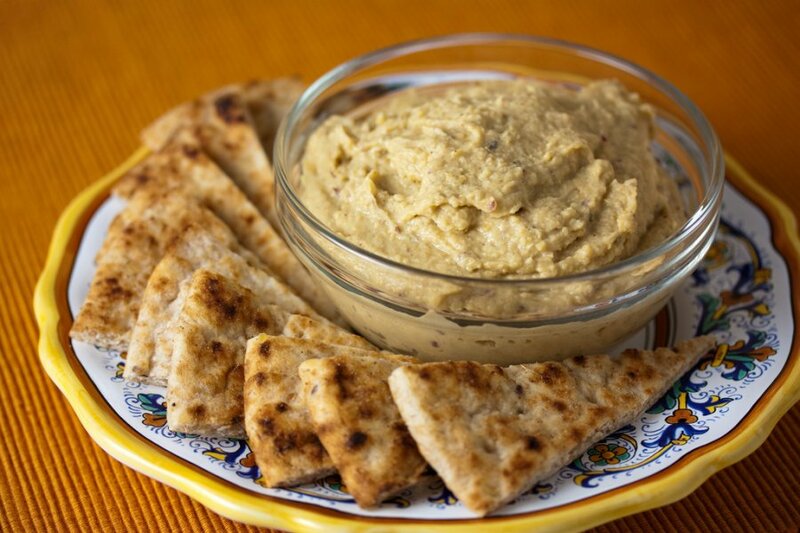 Serve with warm flat bread or pitta and a salad. Mix everything together, using dough hook if you have one. Leave to rise in oiled bowl covered with cling film. 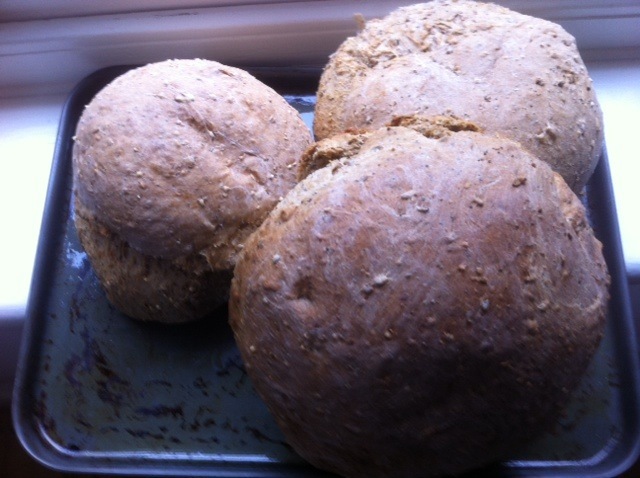 Once well risen divide into 3 pieces and shape into loaves. Place loaves on oiled baking trays and into a hot oven 230 degrees C.
Bake until bottom sounds hollow when struck. Serve hot as an accompaniment to roast chicken, sausages or ham, or cold with a choice of meats or cheeses. Makes enough to accompany a meal for 6-8. Do NOT use an aluminium pan for this…. Simmer damsons for about 5 mins in a splash of water with the raisins. To this mix add the remaining ingredients, stir to mix and simmer for 30 minutes. Remove stones…they usually float to the top! Reheat and stir to break down to a smoother texture if wished.